Hours : Monday to Saturday 8.30am-8.30pm. 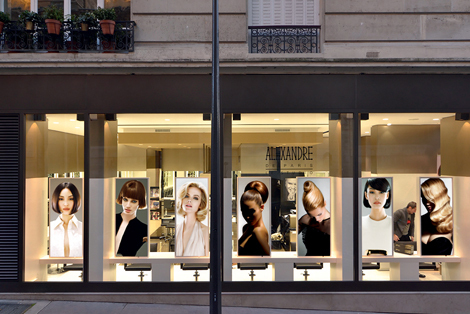 The Left Bank is now home to Alexandre de Paris Studio, a new hair salon in Paris. 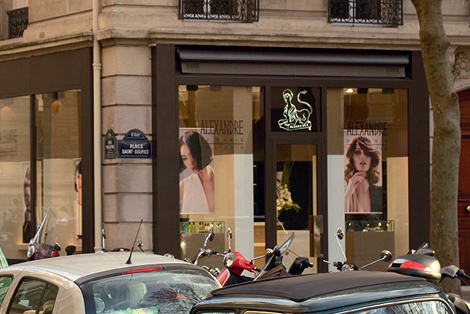 Its chosen setting is Place Saint-Sulpice. 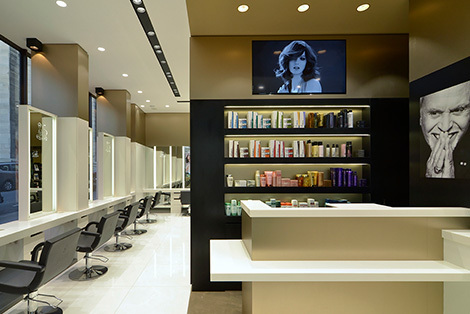 An elegant place of discreet luxury a step away from Yves Saint-Laurent – a nod to the designer who adored the pleats of hairdressing artist. 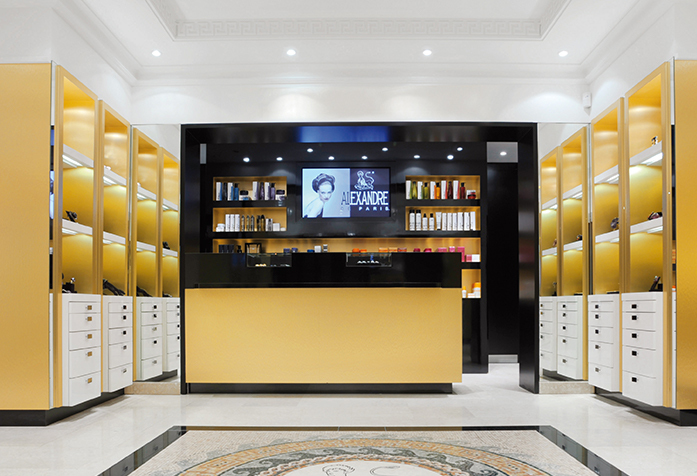 The Saint Germain customers especially appreciate the quality of the work done by a creative team worthy of Alexandre de Paris standards, but at more affordable prices. 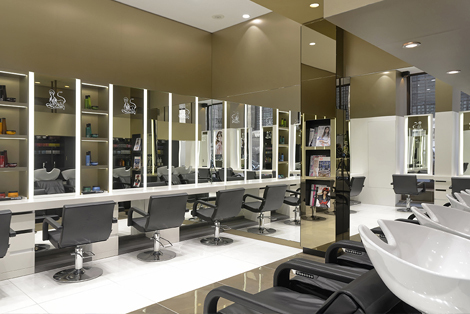 These hairdressing artists, often called on by the media and celebrities, work in this wonderful setting for the enjoyment of their customers who can also request the comfort of a private VIP cubicle. Brush & Breakfast service every morning from 8.30 to 10.30. 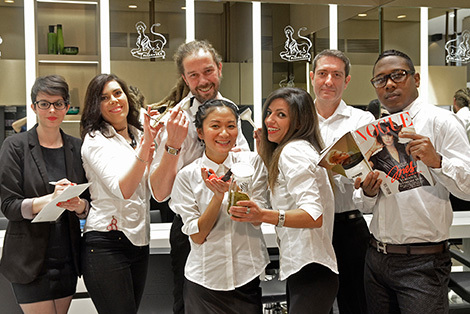 Styling service with “let’s go out” ties every evening from 6 to 8.30. Pleat and makeup packages for business meetings, cocktail parties and evenings. Prestige services for weddings, ceremonies, events.